More than one billion users visit YouTube every day. It reaches more people between the age groups of eighteen to forty-nine years. YouTube is the most popular video sharing platform. It also allows nonprofits to share their content freely. YouTube is the non-tapped resource for non-profits to share their content. They can take the advantage of this powerful tool to get donations and engage people. The goal of the non-profit organization to use YouTube is to spread the message and get help in fundraising. Videos have great chance of going viral and so that message will be passed on from friend to friend. Any non-profit organization regardless of the size and the cause can utilize the power of YouTube to spread a message and to get support. Post videos regularly on YouTube and build up audience. YouTube is specialized for video marketing and streaming the content. YouTube For Non-Profits is a part of Google’s independent non-profits program. Unlike commercial ads, non-profits can share their content on YouTube for free. YouTube Nonprofits will increase any of the non-profit Organisation’s Donation and helpful to reach the number the of audience through YouTube Channel. YouTube provides a special feature to the Non-profits for placing a donation button at the right to your YouTube channel. So, Donors can donate through the secure Google Checkouts Quickly with few clicks. Currently, YouTube For Non-Profits is available in Six countries including the United States. YouTube provides a way to post content that interests and delights the audience. How to Enroll in YouTube Non-Profit Program? How non-profits can use YouTube? Why should non-profits use YouTube? How nonprofits should get started on YouTube? Every program will have the specific needs for each activity we do. Similarly, the YouTube non-profit program has linked to some specific requirements to start. The structure of it completely varied from country to country in the world. How are they going to be? To know that just keep an eye on following phrases. Some specific countries listed which are eligible for this program. ‘Local Tech Soup Partner’ must register all organizations which are going to take participate in the non-profit program. This registration will be the mark to identify as the charitable organization. It should not be the Government organization. It must not come under university, school or academic institution. The Healthcare or Hospitals are not allowed to access this program. Again each country will have individual policies to participate as the non-profit organization. Well, we came to know about the requirements but how to enroll for it. To make enrollment to launch the YouTube non-profit program we must be qualified for the G-suit. Note: We must log in to a non-profit account of the administrator. Then hit “signup now” option. From the Enrollment page of our account click the option “Enroll” can be seen on the ‘YouTube for Non-profit products. Launch the YouTube channel if you don’t have. Provide the ‘organization’s YouTube channel ID’ by getting back to the ‘Google Non-profit Enrollment page. YouTube team will review our account information. After that confirmation mail will be sent to upload the content to YouTube channel on behalf of the YouTube For Non-Profits program. By using the team ‘Calendar,’ the Events can be scheduled by looping the event details. The attachments to the calendar can be added to publish the event. By considering the competitive challenges from the opponents, the fundraising campaign has to be released. For this create the website with innovative content and attractive images that are deliberately delivering the mission of the organization. With the help of ‘Docs’ create the powerful funding applications which contain all the inbuilt features like charts and other information. Collect the news, fundraising drives, online forms, blog posts and training content at one place by using sites. Take the volunteer sign-ups, time off requests and hardware requests through electronic forms without the involvement of paper. The campaign videos, images, PDF manuals and images can protect by using Drive. Gmail’s priority inbox can be used to organize the incoming emails by giving priority. By using Forms, the candidates can submit applications and discussions can be held through Hangouts from anywhere. The features like channel, non-profit content, etc. can be optimized by using the YouTube resources like creator playbook guide and creative strategies. The structure of the creator playbook will contain three categories to assemble the complete activity of the YouTube For Non-Profits program. The frequently raised questions from the partners will be generated here for which the solutions to attached through optimization strategies. The overall overview of the YouTube category projected. The complete list of resources will provide for the partners. There are ten fundamental strategies like shareability, consistency, conversation, sustainability, interactivity, accessibility, collaboration, targeting, and inspiration are needed to launch the successful channel. The reassembling of partners and supporters with creators can do by using donation cards. Also, the funds can raise through donation cards by the US YouTube For Non-Profits organizations. The feature ‘link anywhere cards’ can be used to link up the videos to external URL that directs the visitors to the landing page of the video campaign. When this feature has been introduced then audience might visit the website of your own. By applying through the websites like Space NY (https://www.youtube.com/yt/space/nonprofits.html) and Space LA (https://www.youtube.com/yt/space/nonprofits.html) from the creator’s studio of YouTube will let us access the production resources to edit and shoot videos. YouTube supporting team will assist all the help that is needed to set up the YouTube For Non-Profits channel. YouTube Video is incredibly beneficial to the Nonprofits and Organisation for storytelling for Causes. YouTube videos are the best for creating fundraising Video for a membership Organisation. YouTube has become an Outreach tool for a Non-Profit program providing free services and can create some videos it doesn’t charge. YouTube also has a Nonprofit program for Qualified Organisations with premium services which include Call-to-action buttons, Donation Buttons, goal tracking and Live Streaming. YouTube is the provides excellent communication around the World. 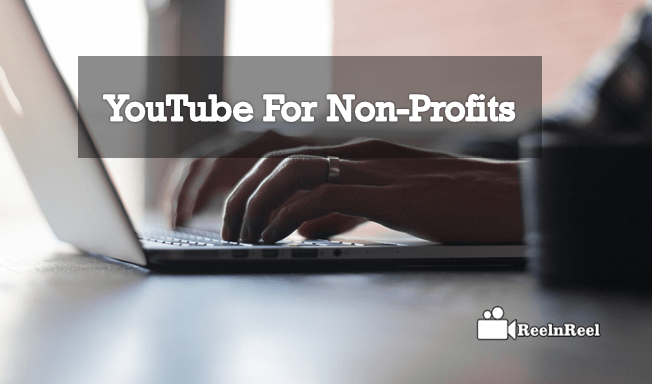 Here are the some best practices for those who are using YouTube for Nonprofits. Stop following other Organisations videos and Subscribing the other channels. It with end up getting traffic to your own YouTube channel. So concentrate on your channel videos content to get more traffic. If you share the other channels videos, it has the high risk of diverting your channel subscribers focus. You can also post YouTube channel videos on Social media sites like Facebook and Twitter. Sharing your video on other social media sites may lead you to promote your content quickly and no need to search for new content to post. There are some benefits while you participate in YouTube Nonprofits program. They include call-to-action overlays and increases the branding capabilities, driving more traffic, a rise in donations and push to get more Sign Ups. YouTube Nonprofits program undoubtedly will increase the awareness among the people and raise funds. You have some options to post and share your video with your friends, share on other YouTube channel. You may get an option for embed video content from Blog or websites. You can automatically post the content on Twitter or Facebook and Emails. Ask your friends to share your Video content by Liking on other sites. Many people inspired by watching the video instead of reading the plain text about the cause. If you have a concept of telling the story, then create an excellent story including background images where you stay and what is the aim of your cause instead of writing them manually. Then share on social media sites, Observe the Views for the Video post and Text Posts. Definitely 100% people spent more time and get more views for Video content. WaterAid is an international non-profit organization which is taking activities to bring awareness to the people by providing the safe sanitation, hygiene, and clean water. This has proven itself by giving an emotional touch to the donors to donate the bucks to the charity. By looking at the video ‘Water Walk’ will sketch the theme of WaterAid how they elaborated the story with real-time characters that touch all audiences. It is also an international non-profit organization that uses cent percent of contributions to developing the clean water projects. They have supported 24 developing countries by providing 19,819 water projects, i.e., more than 6.1 million people. They almost reached the mission of safe and clean drinking water for all people through the unexpected contributors. The strategy they had implemented to gain more donors through YouTube non-profit organization is that they are acknowledging the contributors, the use of ‘End Cards’ and ‘Call-to-action’ which stimulates the audience to be as a part of the mission. This foundation features documentaries to impact the society regarding the women’s rights, refugees, child slavery, human impact of climate change and migration. This channel also uploads the interviews of leaders which influence the public drastically. The end cards to remain again about the issue. This video campaign is a complete pathetic story of how the children are as slaves in one’s hand. This foundation intends to have the healthy and productive life for all the people. The content they deliver through this channel is about the global health, US education and global development. The motive of this non-profit organization is to bring awareness by sharing the real-time story as the video content. Through their video innovation, this channel has acquired 61,969+ Subscribers and 14,188,673+ views. They also added the playlists of different categories like cool interviews, Homeless Youth Stories and Homeless Seniors, etc. The best of this foundation is featuring the real characters with their real stories. The prohibition of cruelty towards animals is the target of this organization. They generate the video content of rescuing the animals that fulfill the logo ‘we are their voice.’ The insertion of end cards and call-to-action are most useful for their channel to gain donors. Nonprofits must create content that is relevant and speaks to the audience. Nonprofit YouTube content falls under Awareness and education, campaign and event promotion, appreciation and others. This is how nonprofits can use YouTube. Nonprofits can use YouTube to increase awareness of their cause and also their organization. Content on YouTube will help these organizations to reach new audiences and stay connected with the existing audience. They can create content that tells the people how the organization is solving the problems and what programs they are executing. Content that gives tips or lessons to the audience also can be created. Non-profit organizations require funds for their services and they can spread the news of fundraising campaigns through YouTube. They can provide the details of upcoming events in their YouTube channel so that people can participate in the program. Nonprofit organization should inform their audience what programs they are taking up with the funds they are receiving. Show them the impact that the programs are making and thank all the supporters for offering their help. YouTube videos can be created to inspire the audience to donate. More than one billion people use YouTube every day. More than half of the traffic comes from mobile devices. With the increase in usage of mobile devices, it is now easier to reach the audience. This platform is the second largest generator of traffic. The organization can control the visual media on YouTube and so they can tell their story effectively and establish their brand. Videos grab attention quickly. Video is the perfect way to narrate the story and explain the story that is hoping to be accomplished. Since non-profits want to focus more on their mission, YouTube becomes the effective tools to spread the message and since it is free, the organizations can save money. They can include a call to action to donate page. YouTube nonprofit program is a free and easy program for nonprofits. This program offers special features to those involved. Donate button is a benefit of joining the nonprofit program on YouTube. This button appears on the channel of the organizations and allows audience to donate right there and they need not go the webpage. Call to action overlays is another benefit of the program. This shows up in the video where people can be urged to donate or go to the website to help. Whoever involves in this program can use the YouTube creator studio in Los Angeles to shoot or edit the videos. This is helpful for those who are on a budget but want good quality professional looking videos.Live streaming is another feature available for nonprofits on YouTube. To get started on YouTube, first there are some eligibility requirements that are to be met. The organization should not be a government, hospital or healthcare, school or academic or university organizations. The YouTube account must be created for nonprofit. Apply for Google for nonprofits which allow access to all options including the YouTube program, ad grants etc. Click join the program and click on Apply to Google for Nonprofits. The user will be asked to answer few questions to check the eligibility. An acceptance email will be sent and the instructions need to be followed. Once the nonprofit account is opened, sign in through the administrator account. Enroll in the YouTube nonprofit program section. Enter the YouTube channel ID and then click Enroll. The request will be processed by YouTube within three business days. There is an ‘other channels’ module in the nonprofit channels which can be used to promote the channel of others. This way, the nonprofit channel can ask the other channels to help their channel also. Create topical playlist with the videos from broader community with similar causes. Find the videos related to your cause and like, favorite or comment on the videos. Staying active will help to connect and engage with other like-minded organizations. Use donation cards on YouTube to raise money. Google gives hundred percent of this money to the profit organizations. Like any other YouTube video, video for nonprofit program should also take care of the elements such as title, thumbnail, description and call to action to make the video perfect. YouTube can be a powerful platform to spreed message in faster through Visual communications to get support from various regions. We have given complete guide to YouTube For Non-Profits specially How to enroll on YouTube to get Donation Button for Fund raising or Charity.